We are just about to the halfway point of the 2018 Legislative Session. The pace has picked up and the session is now in high gear. It has been a pleasure hearing from you. I encourage you to continue to reach out to me. You can find information about the best way to contact me at the bottom of this email. Since I founded the bipartisan Clean Air Caucus almost five years ago, the Legislature has passed more clean air legislation than in the history of our state. But there is still a lot more work to do. Last week legislators gathered for a Clean Air Caucus press conference to outline some of our plans to help combat air pollution. Sixteen proposals were presented. A few of these are highlighted below. As many of you know, 48% of our air pollution comes from vehicle emissions. One of the clean air bills I am sponsoring this session, 2nd Sub HB 101, focuses on reducing diesel vehicle emissions. This legislation sets up a three-year pilot program for all nonattainment counties not currently testing diesel vehicle emissions. Currently, four of these five counties require both gasoline and diesel emissions testing. There will be reporting requirements and analysis from the Division of Air Quality (DAQ). Representative Romero's HB 171 increases penalties for vehicles that violate emission standards and improves reporting requirements. 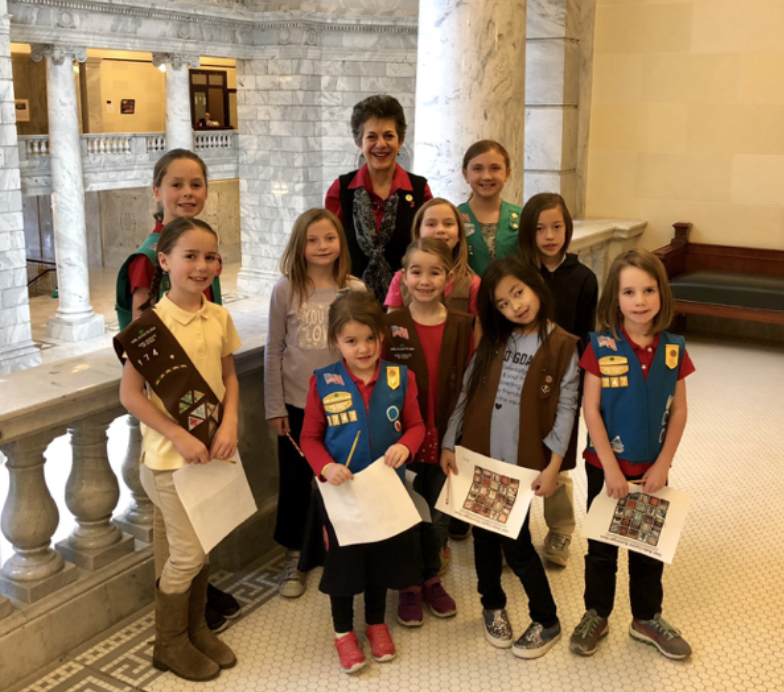 Rep. Eliason will introduce a bill to make it easier to purchase clean vehicles in Utah. Rep. Handy's HB 211 establishes a grant administered by DAQ for a pilot program to mitigate emissions from freight locomotive switchers. Senator Fillmore describes his SB 157, Residential Solar Amendments, as a "consumer protection bill for owners of rooftop solar systems." Several appropriations requests were also highlighted. These included funding for air quality research and additional staffing for DAQ to help them better accomplish their mission. These were only a few of the great ideas mentioned at the press conference. Although over the past few years we have made progress, it is important we keep passing effective clean air legislation and funding. There is no silver bullet - no one piece of legislation will fix all our air pollution problems. Last week 1st Sub HB269 unanimously passed the House Law Enforcement and Criminal Justice Committee. As we all know, identity theft has become a widespread problem. The American Institute of CPAs recently surveyed Americans and found that half expect to lose money to identity theft in the next year, and 21% reported suffering identity theft or attempted identity theft in the last twelve months. The goal of 1st Sub HB 269 is to stop the unlawful collection and distribution of personal identification information. Current laws target those who wrongly use a few IDs and accounts of others. It is time to also stop their suppliers. The bill focuses on criminals who have collected hundreds or even thousands of personal identifications and accounts. They then sell personal data to identity thieves. Just as our laws treat the distribution of drugs more seriously than simple possession, our laws should also treat the unlawful distribution of personal account and identification information more seriously than unlawful possession of one card. This bill truly has been a collaborative effort. I would like to thank Millcreek Mayor Silvestrini, prosecutors, defense lawyers, detectives from the Unified Police Department, federal postal officials, and the many others who are working with me on this legislation. You can track the status and find the bill text here. 1st Sub HB 169, sponsored by Rep. Knotwell, passed the full House. I opposed this legislation. It reduces the fees that Energy Solutions pays for the Permitting and Inspection Program run by the Department of Environmental Quality, and instead requires that taxpayers pay these costs - to the tune of $1.7 million per year. While Energy Solutions claims they need this reduction to remain competitive, I cannot support this corporate tax break. This bill passed the House by a vote of 61 to 11. You can track the status and find the bill text here. HB 205, sponsored by Rep. Lisonbee, passed the House by a vote of 54 to 17. I voted against this legislation. 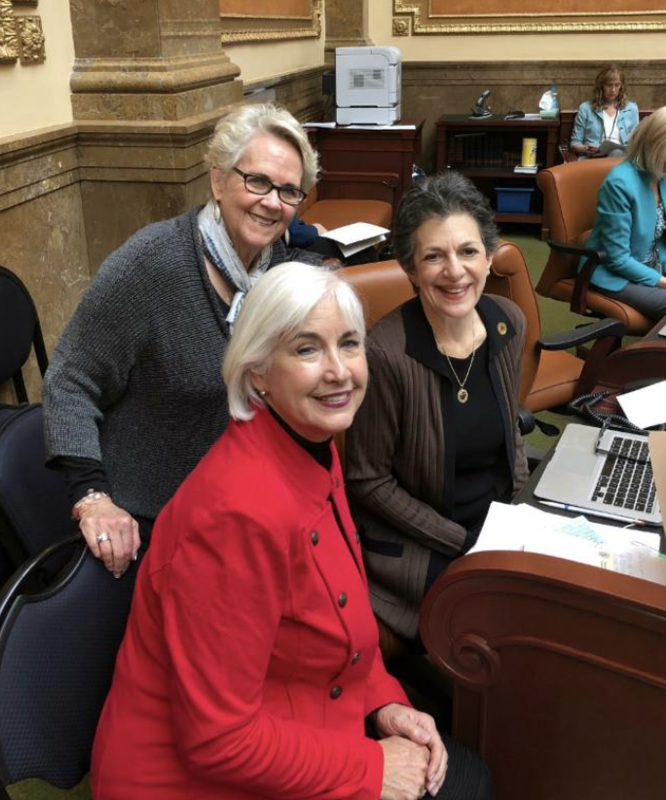 This legislation restricts medical doctors in Utah from performing abortions when a pregnant person seeks the procedure due to a prenatal diagnosis of Down syndrome. I have a number of objections to this legislation. In addition, I was particularly concerned about the process limiting debate. It was introduced just as we were supposed to end our time as a full House to debate bills and we all needed to get to our committees, where the public was waiting to testify on legislation. After HB 205 was introduced, we considered one substitute bill, which did not pass. When it came time to debate the actual bill, no one was allowed to speak against HB 205, which I had planned to do. The Legislature's General Counsel office carefully examined this bill and attached a review note on HB 205 saying it was highly probable the legislation would be declared unconstitutional. Unfortunately, no one could address this issue in the House debate before the vote took place. It was great to see so many of you last week at the Town Hall Meeting that I hosted with Sen. Iwamoto, Sen. Zehnder, Rep. Moss and Rep. Poulson. It is always wonderful to meet with constituents who care about our community. 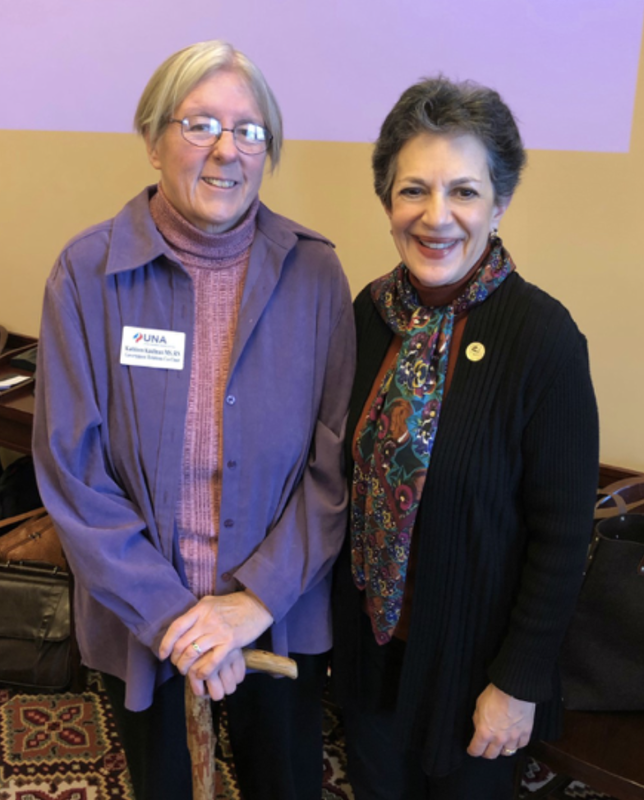 The state legislative issues we discussed included efforts to improve air quality and education, vehicle fees, public initiatives and the need to protect our national monuments. We were all thrilled with the strong showing of support and interest. Many thanks to KSL's Doug Wright for moderating the evening and to Holladay City for hosting our meeting. I have enjoyed hearing from you and encourage you to stay in touch. It is important to me to hear how I can best represent the residents of House District 36. The best way to reach me is through my email: parent@le.utah.gov. I personally read every email I receive, but during the session I often receive hundreds of emails a day so I have included some tips for contacting me below. I always prioritize emails from my constituents in HD36. To ensure that your email gets priority reading please include your home address and the bill number or name of the appropriations request in the subject line. I may only have time to respond to messages that are personalized and are not template emails. I read form emails, but may not have time to respond if it is the same email as those sent by many others. Texting is best used to bring an immediate concern to my attention (i.e., a bill about which you have concerns is about to be debated in a committee or by the full House). Calling should be used as a last resort. If you prefer to call, my cell number is 801-889-7849. Please understand that I am often not able to answer the phone, and by the time I am free it is often too late to call you back. If you leave a voicemail message be sure to include your name, number, home address, and reason you called. If you come to the Capitol, I will try my best to come out to talk to you. It is my job to represent HD36 in debates and I take that position seriously. It can be difficult to leave the House Chambers or a committee meeting if we are debating an important bill. Be sure to put your email address and phone number on the note you send in to me so I can follow up with you if I cannot make my way out to the House lobby. So you will know, sometimes it takes 15 minutes for those notes to get to me. It is an honor to represent House District 36. I look forward to hearing from you in the next few weeks. Just a reminder - our annual general session ends on March 8.